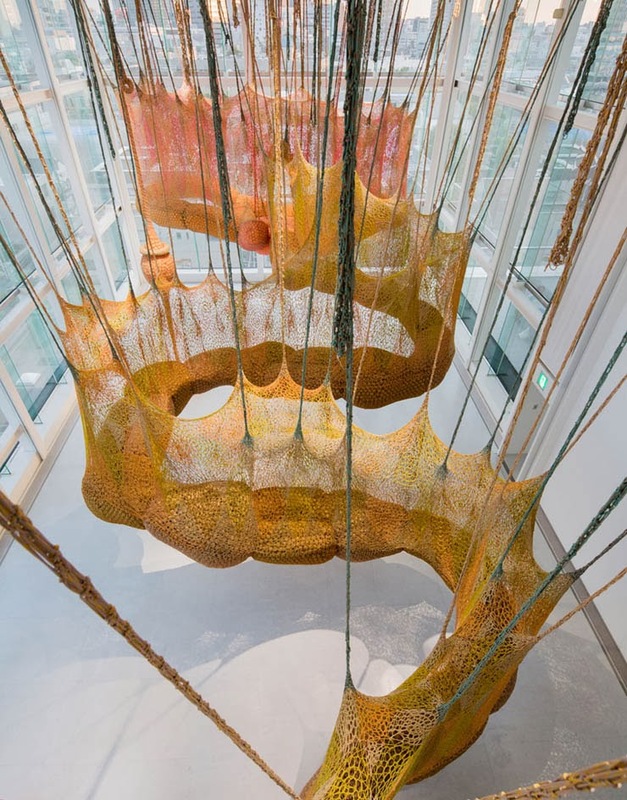 Ernesto Neto began exhibiting in scotland in 1988 and has had solo exhibitions abroad since 1995. Neto's work has been described as "beyond abstract minimalism". 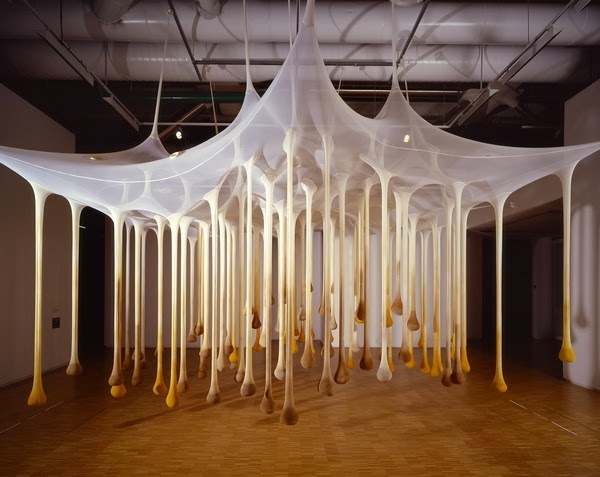 His installations are large, soft, biomorphic sculptures that fill an exhibition space that viewers can touch, poke, and walk on or through. They are made of white, stretchy material -- amorphous forms stuffed with Styrofoam pellets or, on occasion, aromatic spices. In some installations, he has also used this material to create translucent scrims that transform the space's walls and floor. His sculptures can be regarded as expression of traditional abstract form, but in their interaction with the viewer, they work on another level as well. One of his most acclaimed installation is at the Panthéon in Paris called Léviathan Thot. 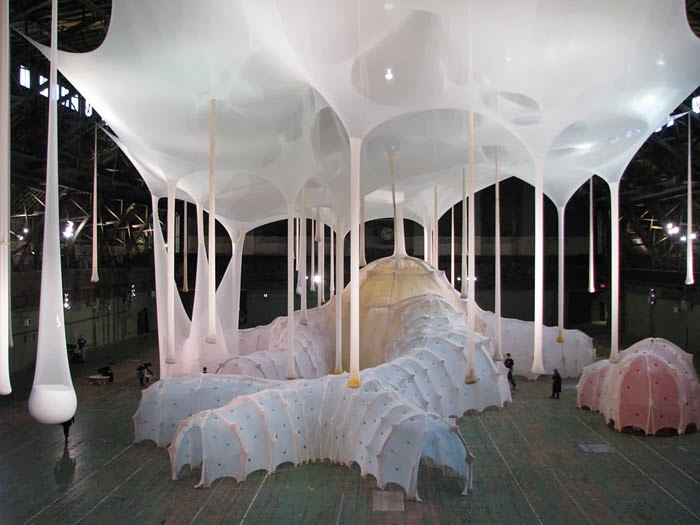 In 2009 Neto exhibited a new work at New York's Park Avenue Armory called anthropodino. Filling the 55,000-square-foot (5,100 m2) hall, the aim is to help the Armory reposition itself as a big-art destination like the Turbine Hall in London's Tate Modern. 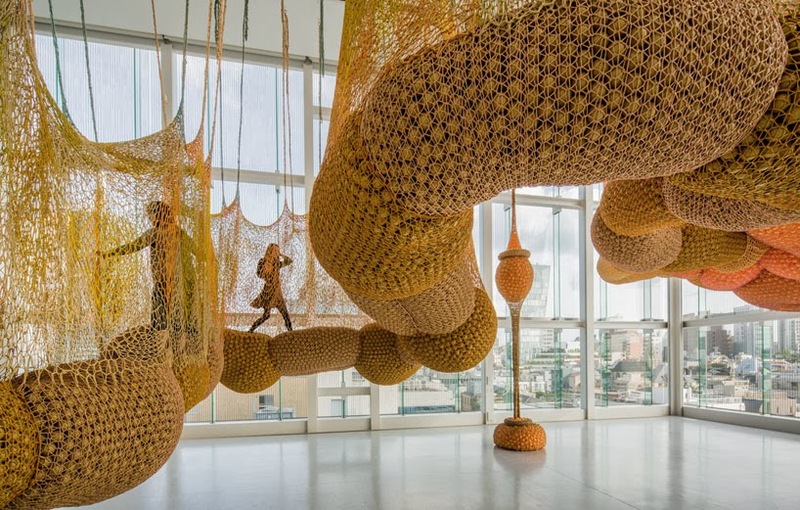 In 2010 he exhibited a popular display at London's Hayward Gallery called 'Edges of the World'. Neto has been awarded chevalier de L'Ordre des Arts et des Lettres.